Powercor are one of the highest regarded market leading electrical contractors for LED lighting and control with numerous industry awards and accolades to our name. Whatever walk of life our clients are from, our aim is to find the perfect lighting solution to ensure long-term success and a mutually beneficial partnership. From high end corporate headquarters to demanding manufacturing environments, Powercor has consistently proven itself as a reliable provider of world class illumination. 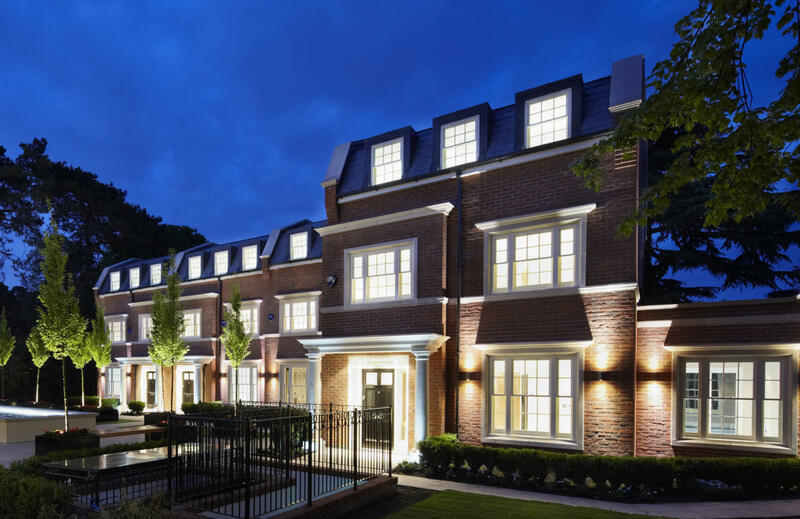 We often work in collaboration with leading designers, specifiers and architects to transform interior and exterior environments with world class lighting installations. Find out more about our work in a variety of industry sectors. We help our clients create superior office spaces that reduce energy usage and CO2 emissions to maximise cost savings, productivity and profit. 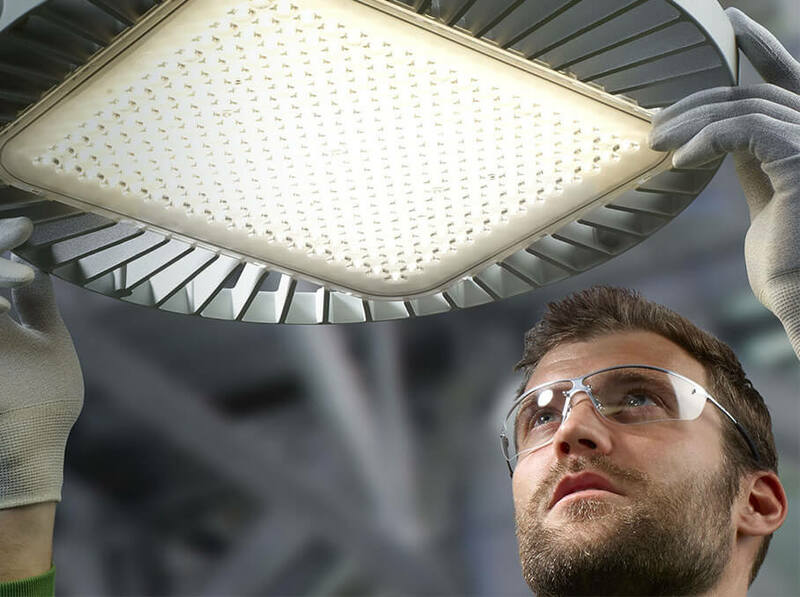 Powercor’s performance lighting installations for manufacturing and industry are essential for creating safe and efficient working environments. The lighting of exteriors can create functional convenience or dramatic effect that bring to life the imagination of architects and designers. A GreenWarehouse installation by Powercor could save you up to 50% on energy costs whilst also having a positive impact on your workforce. Our LED lighting installations help our customers optimise and improve their store layouts to create appealing retail environments and atmospheres. Our DBS approved and List 99 checked staff upgrade existing lighting systems and install new systems designed to optimise learning efficiency. Working with Designers, Developers and Architects, we lead the field with smart lighting technologies combined with beautiful design. Today’s top lighting technology and the latest lighting control can increase your operational efficiency, improve productivity in the work place, enhance learning performance in schools and even help the healing process for patients in hospitals. We offer a free initial site visit, consultation and quote to all potential customers interested in our LED lighting and control services. Our service is designed to be flexible to meet your needs so please contact Powercor and let us do the rest. Powercor’s team of designers will create solutions for every job. Using professional software, we help clients visualise their lighting installation prior to any commitment by the customer. We also use DIALux as a planning tool to provide effective and optimised lighting plans. 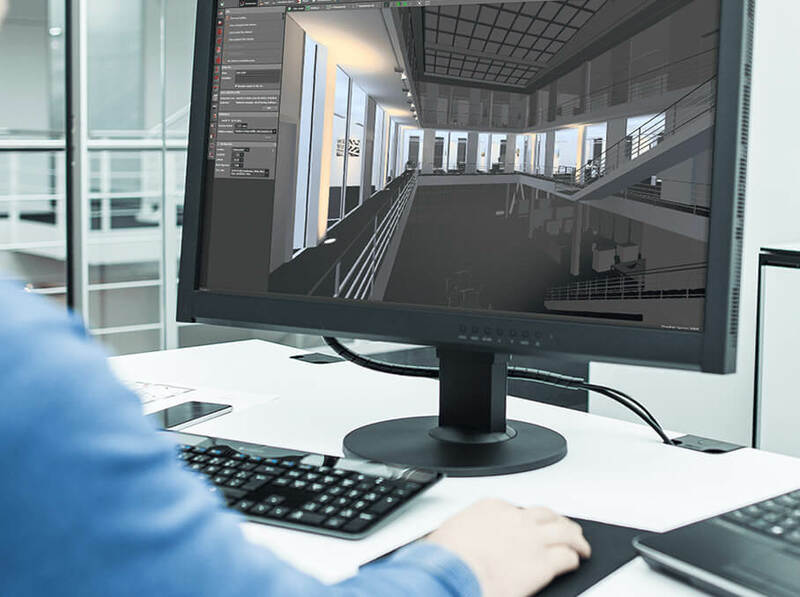 Energy evaluation and coloured light scenes provide clients with a 3D model of exactly how a new light installation will impact and improve their space. Powercor will also develop bespoke mechanical solutions when required such as metal brackets, magnetic support systems and metal casings. Powercor are well recognised as one of the industries leader in installing high quality LED lighting and control systems. This has been proven as Philips awarded us in 2017 the title of Certified Value-Added Partners 1 of only 3 in the UK at that time. Our dedicated and highly experienced team assist our clients to significantly reduce their energy consumption and operating costs. Powercor are the “can-do” company that will always find a solution to every problem. Whereas most companies will walk away, Powercor get the job done time after time. It is this dedication to perfection that won them the ECA (Electrical Contractor’s Association) award for top performing installer in 2018. There are endless testimonials, that can be found in our Case Study section, where delighted customers have sung Powercor’s praises. If reliability and accountability are important to you, then Powercor is your installer of choice. Powercor understands the many lighting products and control systems that are on today's market and can accommodate any type of installation required. Our design and engineering team have the experience and commitment required to ensure that you have the exact installation that gives you the ultimate efficiency in lighting solutions. We understand that today’s top lighting technology and the latest lighting control can increase operational efficiency, improve productivity in the work place, enhance learning performance in schools and even help the healing process for patients in hospitals! Whether you simply want to upgrade an existing lighting system or commission a totally new one, the results and advantages will be immediate. Working in partnership with the leading lighting manufacturers in the industry, our design and engineering team have the experience and commitment required to ensure that you have the exact installation that gives you the ultimate efficiency in lighting solutions. Powercor has a long list of preferred manufacturers they use. These partnerships have grown from strength to strength based on Powercor’s year on year performance. These partnerships also offer you the customer, with preferential pricing and access to the very latest technology. Powercor is not exclusive to these suppliers, thus can also install any other manufacturer of your choice.